Diversity and inclusion is on the agenda of every board and leadership team across the country, but the engineering and construction sector has the most work to do, particularly from a gender diversity perspective. Jane is an engineer and technical recruiter. 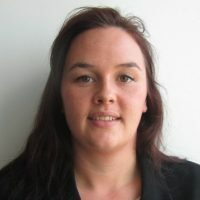 Having studied Civil & Structural Engineering she decided to pursue a career in recruitment in Ireland before relocating to Brisbane in 2012. Jane has a keen passion for the diversity & inclusion and the business benefits it can create, particularly in the engineering sector. As a service provider to the industry, Jane is keen to “give back” and is actively involved with a number of industry groups to achieve greater diversity in the sector.